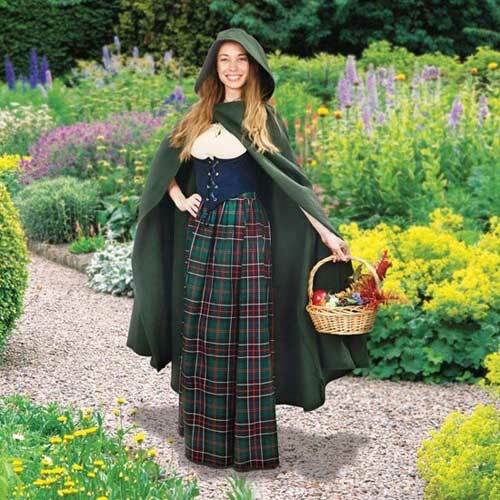 This quality hooded cloak is made of a heavy, 100% cotton weave. It has a crossover closure with wooden buttons to keep this cloak secure around you. This museum quality cloak is suitable for men or women. This comes in one size only and is 48 inches long. Buy this beautiful cloak for 129.99.